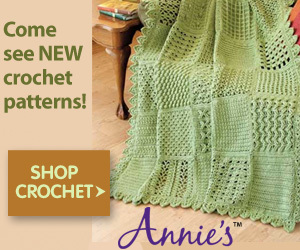 to work up with a trellis stitch theme. Find Merry Trellis Square On Raverly! CHECK OUT MORE MINI CAL SQUARES! Weight: DK (11 wpi) ? [CH 3; work 3 DC into ring] x 3 times; CH 3; SL ST into 3rd of 3 CH. FPDC around next DC; SKIP next DC; CH 1. Repeat from * to ** 2 more times. SL ST in 3rd of 3 CH/or top of STANDING DC. Join into 3rd DC of any 5 DC group. RND 4: CH 3 (counts as 1 DC)/or do a STANDING DC; work 4 DC into same space; CH 1; work 2 DC into next 1 CH space; CH 1; work FPDC around next FPDC; CH 1; work 2 DC into next 1 CH space; CH 1.
work 1 SC into next 1 CH space; work 1 SC into next 2 DC; work 1 SC into next 1 CH space; work 1 SC into next 2 DC. Repeat from * to ** 2 more times. SL ST into first SC worked. Join into any 3 CH corner space. work 1 DC into next 2 SC. Join into any 2 CH corner space. work 1 DC into next 2 CH; work 1 DC into next 7 DC; work 1 DC into next 2 CH; work 1 DC into next 4 DC.